There are Many Top MBA Univerities in Pune providing 2 years regular Full time Masters of Business Administration Pune Courses approved By UGC or Even AICTE (All India Council of Technical education) in their own University Campus (Private University, Deemed University) or affiliating Colleges (Only Through State University-Savitribai Phule Pune University)to Provide Management program. The Unique Teaching Methods with Emphasis on Practical Live Experience,Regular Industrial Visits,Guest Lectures,Live Projects and other Practical Studies providing Better Understandings to Students and placing them at higher profile and packages in the Corporate world has made University in Pune Teaching MBA on Top among the other Universities in India. The Common Eligibility for Regular Masters of Business Administration Pune Programme is Bachelors Degree with More than 50% in Aggregate or Graduating Students can also apply, with Valid Entrance Examination Score either Self Entrance, State or National Level for MBA Admission in Top MBA Universities in Pune . There are Many Top Universities in Pune for Ease of MBA Aspirants only the MBA Universities offering MBA programe are provided in the above List . Hence these Universities offer Full time MBA program . So among the List of Top MBA Universities in Pune . 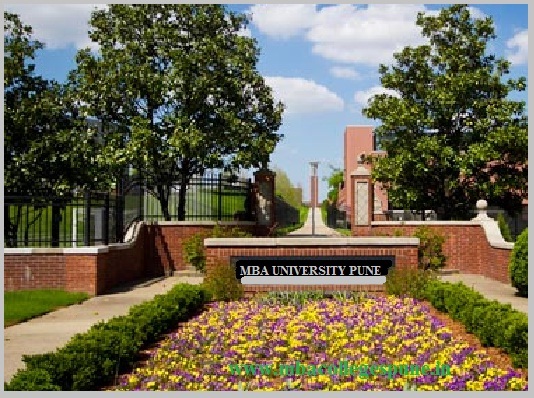 MBA Universities in Pune having government of India approval for running MBA Course are Mentioned .